Le Mini Who? returns as part of Le Guess Who? 2018 on Saturday, 10 November. As a spin-off festival of Le Guess Who?, it transforms many of Utrecht’s local bars, restaurants, venues and warehouses into improvised venues for (mainly) Dutch underground bands to play. This year's 10th Anniversary edition of Le Mini Who? marks the move to a new area: Rotsoord, situated on the edge of the historical city centre. Old industrial heritage such as the warehouses of Pastoe, combined with shiny new housing blocks, turn this area into a perfect next breeding ground for our festival to further explore the edges of our Dutch (underground) music scene and city. We can't wait to show you this part of town. Le Mini Who? now announces the complete line-up for 2018; explore and dive in via the Spotify playlist below. Stream this playlist also via Apple Music or Deezer. 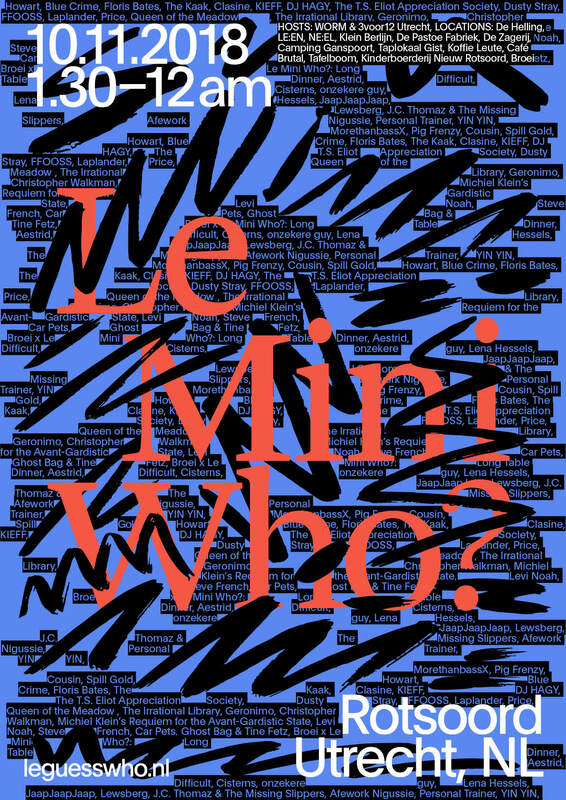 As ever, Le Mini Who? is free of entrance, and will take place from 1.30 PM till 11:59 PM on Saturday, 10 November. Attend the Facebook event here.